Since then, we’ve tried a lot of digital platforms for marketing, some more effective for us than others. Now, we’re sharing some of our favorite digital marketing tools for roofers (in no particular order). Maybe you'll find them useful too; because no matter the size of your business, any tool that helps you spend less time on marketing tasks gives you more time to focus on big-picture strategies that grow your company. From creating content calendars for our blog to managing projects related to the IRE show, we use Asana to assign tasks, manage deadlines, and make sure everyone has the info they need to get the job done. Create a card that outlines what you want (size, message, images), plus info like due dates. Assign the task to the right staff, whether you have a dedicated marketing team or the task will be handled by one person, like the office manager. Check progress and see drafts, which can be uploaded directly to the task card. It’s available on desktop and mobile, making it easy to stay on track even when you’re on a jobsite. Asana is a pretty robust platform, so if something simpler works better for you, check out Trello. Similar concept. Fewer bells and whistles. Running roofing ads on Facebook and Instagram can be time consuming and frustrating. Maybe you don’t know your ROI. Or perhaps you simply can’t give campaigns the time they deserve. Enter Boostpoint. This digital ad solution makes marketing easier by allowing you to target, create, submit, and measure cost-effective campaigns from one dashboard. Its algorithms target your most likely customers in a specific neighborhood or area, delivering digital impressions where they count so you can grow your brand. 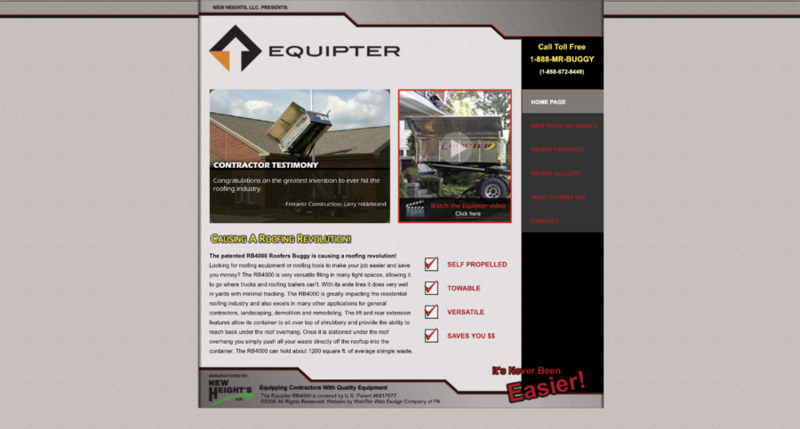 Boostpoint is a new company by Equipter and was co-founded by Equipter Marketing Director Sam Beiler. He and his team developed the app to give you access to the same digital ad strategies that helped Equipter grow into a nationally recognized brand. Most of our marketing team works remotely at least one day a week. And since we manages loads of projects, from blogs to website to direct mail to social media, it’s critical for us to connect quickly. Slack gives us a communication option that’s as easy as text messaging; but, because the app integrates with many other platforms, like Asana and Google Drive, it’s simple to attach and reference current projects, documents, spreadsheets, or even social media posts. Slack offers free and paid versions. Save time by creating and scheduling social media posts across multiple platforms like Facebook, Instagram, Pinterest, and Twitter. We create Equipter social posts a week in advance, and then upload them to Hootsuite to schedule publishing days/times for each social network. Hootsuite offers a limited free plan in addition to several paid options. We use Moz to research and develop SEO strategies for our blog, website, and social media posts. The platform lets you explore keywords, develop keyword lists, and track keyword ranking, among other things, so you can optimize digital marketing for your roofing company. Moz has free and paid options. This speech-to-text transcription service saves us hours of typing! We regularly turn customer testimonial interviews and videos into written content, like case studies, testimonials, and blog entries. Before Temi, one of our team watched each video and manually transcribed it so we could get accurate quotes for our marketing. Now, Temi produces the transcript for us. It’s so easy to use; log on to the app, then simply upload the audio or video file or add a URL from a site like YouTube. You get an editable transcript in about 5 minutes. Currently the service runs about $.10 a minute, a price well worth it if you want to save your team tons of time and maximize video testimonials or other video content. From marketing emails to site analytics, HubSpot helps us manage the campaigns that help our customers grow. It gives us plenty of tools that let us manage our marketing in-house, plus it integrates with critical platforms used by our sales team. We’ve had great experiences with the support team as well. And members of our own team expand their marketing skills by learning from HubSpot’s Marketing Blog and certification courses. Don't let the day-to-day tasks of marketing bog down the to-do list. Take the time to find the right digital marketing tools, so you can take one step closer toward building or growing your roofing business vision.